To lose weight is always not so difficult, there are many other ways to lose weight. Whenever we do research on how to lose weight mostly the result we get are lose weight by dieting or by exercising. But today the method that I am going to share with you is the easiest and most effective. How to lose weight by lemon. 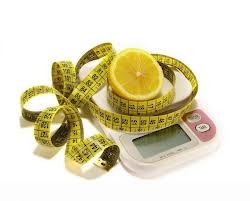 So I know there are a lot of questions arising in your mind like, how can lemon help us to lose weight, is it beneficial for losing weight by lemon, how lemon helps you to lose weight etc. OK let me explain. Lemons are well known in vitamin C and very good detox agent, which helps to lose weight. It can be said that '' A lemon a day keeps the fat away''. Drinking lots of water is little boring so add lemon juice in it and enjoy your lemonade. Just replace the drink you usually take with lemon juice and just after a week you will see the result, it is very effective way to lose weight. Mix all of these ingredients, try to use warm water. Now drink that Juice twice a day once early in the morning before breakfast and once when you stomach is empty. Drink it and you will see the result soon. you can make the juice with only water and 2 tsp lemon juice, replace it with all of the other beverages. It has no side effect and it is the most effective way. Drink it on empty stomach. Nothing can be easier than it. You can ask any question related to health, just comment us and we will try our best to help you. Liked this article? Don't forget to share it with your friends on social media and visit The Daily Health Tips again for more health related articles. You can like out Facebook page and subscribe to our RSS feed. Drinking lemonade juice on an empty stomach in the morning is a great weight loss tool, but also a good way to detoxify the organs. Drinking lemonade is surely a good way to lose weight. Some people also take lemonade or simply lemon juice after their lunch and dinner to help the digestion of food. Drinking lemonade your body gets water as well which is suggested by most of instructor to drink more water. Lemon and all other citrus fruits such as orange, grapefruit, lime, key lime, and kinnow etc. play an important role in weight loss purposes. All these fruits burn the unnecessary body fat naturally in a quick way and help to get a healthy weight control nutrition. Use the juices of all these citrus fruits at morning with the empty stomach for the quick fat burning. 5 Tips to boost up your brain power. HOW TO HAVE CLEAR SKIN WITH IN ONE WEEK.